For nearly a decade, Prime Minister Stephen Harper has quietly led Canada in a new direction. Our laws have changed. Our national objectives have changed. Our global reputation has changed. As we reflect on a decade of changes, some drastic and others subtle, it is clear that Canada’s economic, environmental, political, legal, and moral landscape has undergone a significant transformation. The Harper Decade is a digital series that documents the multifarious changes that have occurred over the past ten years. Compiling short and compelling editorials from a diverse group of experts, The Harper Decade provides Canadians with a non-partisan, critical, and comprehensive exploration of the various consequences of Conservative rule on Canada. Contact The Harper Decade at admin@theharperdecade.com. Richie Assaly (@rdassaly) is the Managing Editor of The Harper Decade. A writer and editor based in Toronto, Ontario, Richie is a regular contributor to Alzlive and the head writer for the Alberta Council for Global Cooperation's Top 30 Under 30. Formerly, Richie was the Executive Director of the Alberta-based advocacy group Stand With Fort Chipewyan. Richie holds a Bachelor of Arts from the University of Alberta and a Master's Degree in Political Science from the University of Toronto. Avnish Nanda (@avnishnanda) is the Publisher of the The Harper Decade. Avnish holds a Bachelor of Arts from the University of Alberta and Juris Doctor from Osgoode Hall Law School at York University. 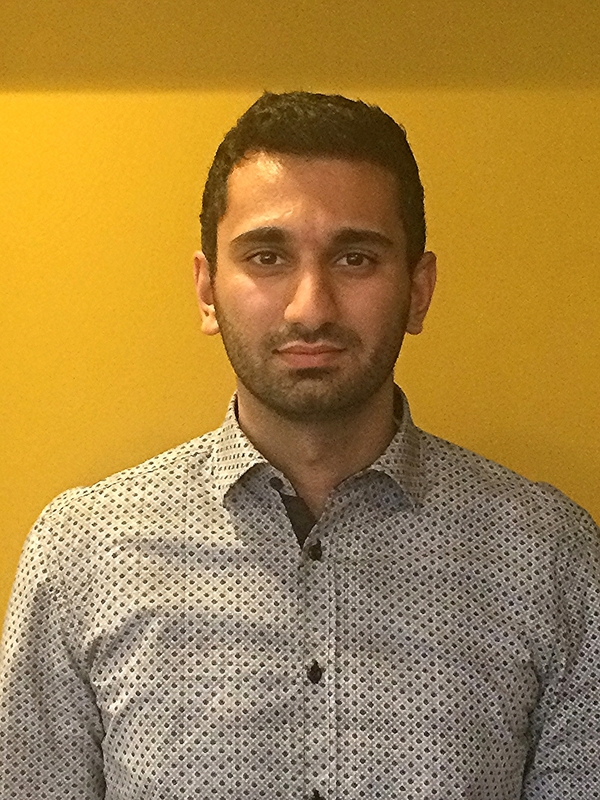 Previously, Avnish served as the Features Editor for TheCourt.ca and Co-Edited Reflections on the Komagata Maru. Avnish has an interest in Aboriginal and constitutional law, and has worked and published in these areas. Avnish is from Edmonton, Alberta. Sina Kazemi (@sinakazemi6) is one of the creators of The Harper Decade. Sina is originally from Yukon Territory, and currently living in Edmonton, Alberta. Sina is completing his Masters degree in Environmental Microbiology at the University of Alberta. Sina is passionate about environmental issues in Canada including environmental protection and climate justice. Sina is beginning law school at the University of Alberta in the fall. Kim Hayward is one of the creators of The Harper Decade. Kim is a passionate collaborator committed to bringing people together across cultures and world views in the cause of social justice. A recent graduate of the University of Victoria's Master of Arts in Indigenous Governance, Kim brings a critical anti-colonial lens to all the work that she does and is dedicated to challenging ongoing settler colonialism and supporting Indigenous resurgence and self-determination. Amy Sanderson (@asanderson1) is an Editor with The Harper Decade. Amy is a small business owner and floral designer based in Edmonton, Alberta. Amy holds a Juris Doctor from Columbia Law School and a Bachelor of Arts in Political Science from the University of Alberta. While in New York, Amy worked as a public interest lawyer with a focus on housing and government benefits matters. For more information about Amy, please visit her website. Christy Lundy (@clundyart) is an illustrator living and working in Toronto. Even as a youngster, colouring on walls and trying to sell finger paintings to her family, Christy knew she wanted to live a creative life. Christy enjoys petting your dog, drinking her coffee with chocolate, and any audiobook she can get her hands on. To contact Christy or view her portfolio, please visit her website. Bill McIntosh (@BillMcIntosh354) is a Text Reader for The Harper Decade. Bill’s eclectic career has included practising law, running a business, writing and consulting on communication, strategic planning and sustainable resource development, and managing governance issues for a provincial law society. In January 2015 Bill became an adviser to the David Suzuki Foundation: supporting the design and planning of the Blue Dot Dialogues, which will convene a diverse, inclusive cross-section of Canadians in discussing issues underlying the right of all Canadians to clean air, clean water and a healthy environment, including the need to protect that right in Canada’s Constitution. Rebecca Lockwood (@rebeccajl) is a Text Reader for The Harper Decade. Rebecca graduated from Osgoode Hall Law School in 2014. Rebecca is currently completing her articles in refugee law with Barbara Jackman and hopes to continue in this field in the future. Prior to law, Rebecca attended McGill University where she earned a BA in Sociology and Spanish Language and lived in Spain for a number of years, working in bilingual education development. Amina Juma is a Juris Doctor candidate at Osgoode Hall Law School. Prior to attending law school, Amina worked abroad as an educator, and held various research positions in public and private institutions. Amina holds a Bachelor of Arts in Political Science from the University of Waterloo, a Masters of Arts in Political Studies and a Masters of Public Administration from Queen’s University.